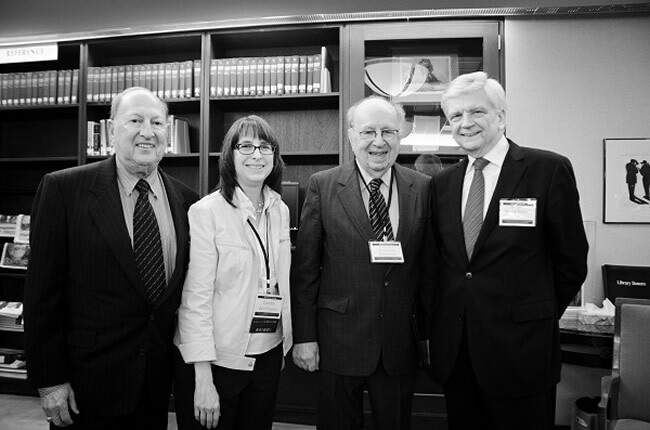 The Embassy of Austria was a proud program partner of the 52nd Annual Meeting of the Jewish Historical Society of Greater Washington on December 2, 2012. The event, which took place at the Washington Hebrew Congregation, included remarks by Austrian Ambassador to the United State Hans Peter Manz as well as Sydney Silver, President of the Society. Featured speaker of the afternoon was Ambassador Richard Schifter, whose previous posts include, among others, Deputy United States Representative in the United Nations Security Council, Assistant Secretary of State for Human Rights and Humanitarian Affairs as well as Special Assistant to President Bill Clinton. In appreciation of his work in the Clinton Administration in leading the U.S. effort to organize the Southeast European Cooperative Initiative, he was awarded the Austrian Great Golden Decoration with star.